Wound care certification cost can be described in two different ways – one which only considers the cost of the actual certification exam, and one which considers the overall wound care certification cost from start to finish. Most wound care certification exams cost between $300-$575. On the other hand, wound care certification courses can range widely both in cost and in CE/CME hours provided. 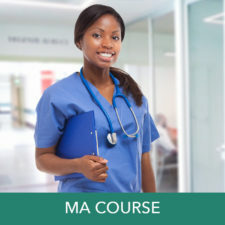 In addition to paying your exam fee, many wound care certifications also require you to have previously completed an accredited wound care course. Below we break down the cost of common wound care certification exams and overall cost when paired with one of our courses. To take your WCC exam, there is a $30 application fee and a $300 exam cost. The WCC exam is administered by NAWCO, the National Alliance of Wound Care & Ostomy. You can use any of our courses to prepare for the WCC exam, however, this particular certification is not an accredited certification. If you decide to take this exam, you may have to take another one that is accredited later in your career. This could drive your overall wound care certification cost up if you have to pay for an additional/different exam. The WOCNCB exams and certifications are accredited certifications and are also competitively priced; the initial exam will cost $395, which covers the exam and application. Once you pass the exam, the certification is valid for five years. Besides being nationally accredited, another benefit of the WOCN certification is that there is no annual renewal fee within that five-year term. The Wound Treatment Associate Exam offered by the WCONCB is $295. The WTA is not an accredited certification. The WTA exam must be taken by an LPN, LVN, or RN. Although the WTA is a less common path, it is still worth mentioning. In order to get your WTA-C credentials, you must complete 16 hours of clinical care under the direct supervision of a WOCNCB Certified Wound Care Nurse. Our wound care certification courses are widely used and extremely successful when used for preparing for the AWBM certifications. The ABWM certification is valid for ten years, however, there is a yearly 6 hour CE requirements and a $150 yearly registration fee. Many nurses take our wound care certification courses to prepare for the wound certification exam. We offer an “until-you-pass” guarantee, which will give you course access until you successfully receive your certification (provided it is within 3 years of registration). WoundEducators.com aims to keep their wound care certification cost for courses affordable for all healthcare professionals. The (WCEI) Wound Care Education Institute’s cost for their online Skin and Wound Management Course is currently $2,797 for 22.75 CE hours. 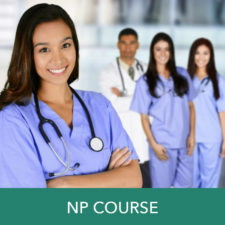 Our accredited online wound care certification courses for are just $797 for RNs, LPNs, LVNs, CNAs, and medical salespersons. Our wound care certification courses for Physicians, Occupational Therapists, BSNs, Nurse Practitioners, and Physician Assistants are just $897. 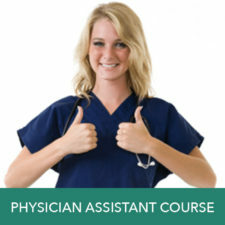 Courses are approved for 50-60 CE/CME hours and all course materials and shipping are included. Vohra and WCC certifications are not accredited. Vohra’s full certification course with CE credits currently cost $410. This course may provide you with useful wound care knowledge, but you will need additional coursework if you plan on registering to take the CWCN, CWCA, CWS, or CWSP certification exams. While these courses still offer continuing education hours, they cannot be used to meet the education required for most accredited wound care certification exams. Their purpose is for accelerating wound care practices and professional knowledge. 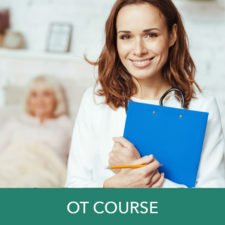 The complete wound care certification cost combined with one of our preparation courses is very cost-effective for any certification you choose. Although the certifications listed above all require you to have a certain amount of clinical experience, knowing the cost will allow you to make better decisions about your future career path. By breaking down wound care certification cost, we want to make sure that you have no surprise costs and can budget appropriately when trying to achieve certification. Thank you for sharing your valuable information. 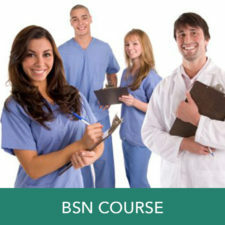 I am a new NP who would like to become proficient in Wound Care as well as to become certified. Note that the WOCNCB experiential path also requires 1600 wound care clinical hours experience over the 5 years preceding the exam including 375 hours in the year before the exam. Thanks Irene, view detailed information on the WOCNB wound care certification exam eligibility requirements. Hello my name is Francisca Sharp, I am an RN for more then 9 years and CDE for 4 months. I work in a community clinic and have been working doing wound care for about 5 years,’My goal is to take classes on line and get certified. What do I need to do? Francisca, if you have 3 years of cumulative wound care experience, we recommend pursuing the accredited CWCA certification offered by the ABWM. 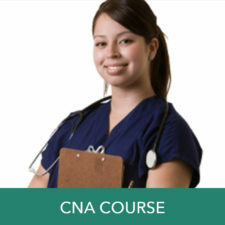 Our RN course can help prepare you with the knowledge you need to pass the CWCA exam. All certification exams will be done in-person at an independent testing center. You must submit proof of your current license and wound care experience to the ABWM to get approval to take the exam. Once approved, you have a 6-month window to schedule & take the exam at an approved PSI testing center. Can a physical therapist become wound certified and also ostomy certified in the state of texas? Is this standard of practice for physical therapist?